As we enter the final phase of constructing the next generation tree house we’ve been building for the Ideal Home Show, we’ve been spending a lot of time thinking about noise and the absence of it. 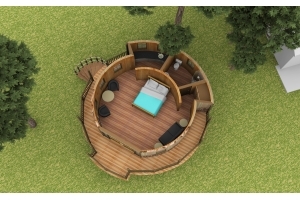 Every tree house we design and build is uniquely tailored to our client’s specific needs. Yet whilst each one is different, they all have something fundamental in common. Constructing the ideal treehouse is about so much more than custom design, quality craftsmanship and delivering turnkey products. At the heart of all of Blue Forest’s tree houses is a yearning for the carefree abandon of childhood and a desire to escape (even just for a while) from the grinding rat race to a secluded den that is private and importantly: quiet. In a world of ceaseless noise, from the droning of the motorway to your beeping phone or blaring TV, we’re never far away from auditory overload. And the thing about sound is that we’re so often subjected to it against our will. Imagine instead, being able to reach for a universal volume control and turning it all down. No more sirens, no more chatter and no more untz-untz siphoning through the headphones of the person next to you on the bus. Bliss. But turn down the hypothetical volume too far and you could be driven to madness. The longest anyone has endured in the virtually soundless anechoic chamber at Orfield Laboratories, South Minneapolis, is 44 minutes. So it’s less about attaining absolute silence and more about being able to selectively eliminate the sounds we find stressful. 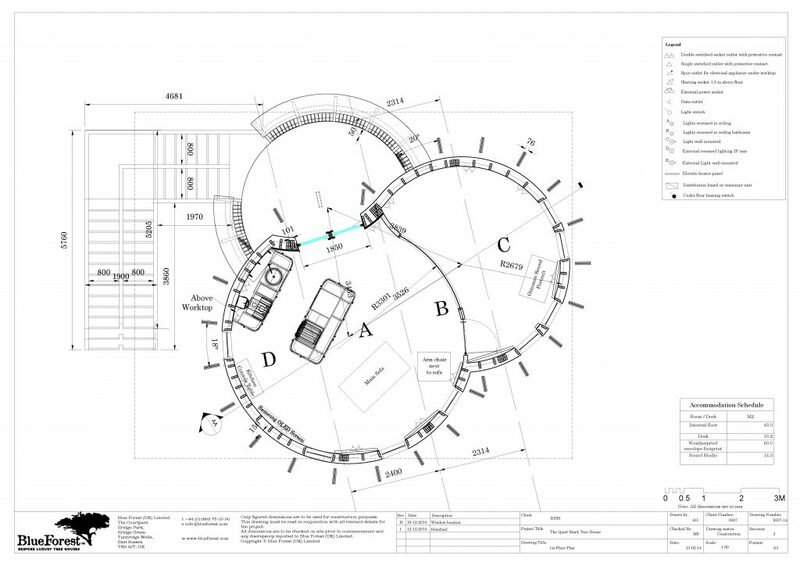 Achieving this has always been central to our tree house design. 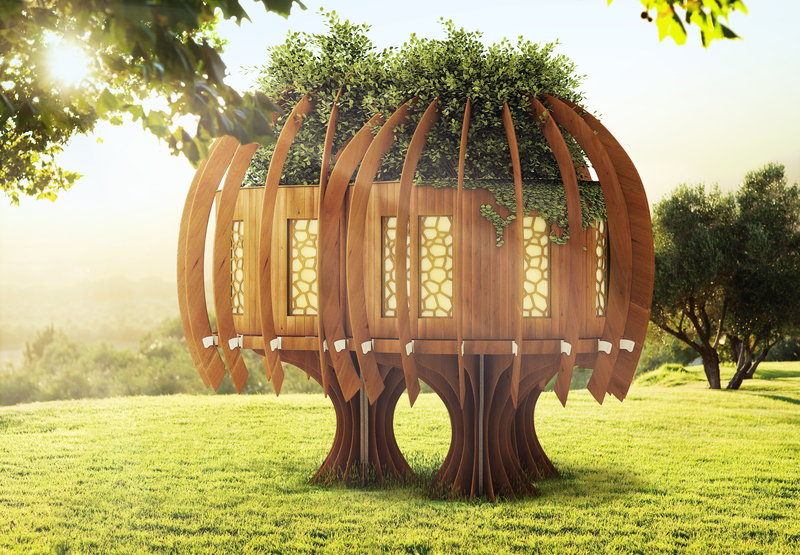 The Quiet Treehouse will showcase the finest in low-noise technology and utilises innovative noise-reduction materials in its construction. We’ve helped countless clients escape the urban humdrum and seek out the rush of the wind through the trees or delight in birdsong. The value of on-demand calm is something the folks at Quiet Mark understand better than most, which is probably why we’ve had such a great time working together. Last year Quiet Mark approached us to design a completely unique Quiet Treehouse to showcase their low-noise technology. So we’ve joined forces with John Lewis and are working with a host of other pioneers to put together this extraordinary tribute to the serene and ultimate luxury of quiet. To keep unwanted sounds to an absolute minimum, the walls of the tree house are lined with a revolutionary product called Acoustiblok. Made from more than 80% organic and recyclable materials, it is the ultimate sound insulation solution for sustainable building – deadening impact and airborne sound more effectively than lead! The walls will be insulated with Rockwool’s thermal insulation. To further control sound absorption, the interior of the tree house will feature Kvadrat Soft Cells, patented panels that are both aesthetically pleasing and have excellent acoustic properties. The tree house windows have been made by Cantifix and glazed with Pilkington Optiphon, a noise reducing glass originally designed for lecture theatres and hospitals. The rest of the tree house will be finished in a mixture of natural textures, including Kebony external cladding and Cedar wall internal wall lining. The tree house will be a central attraction at the upcoming Ideal Home Show at Earl’s Court and will be donated to The Chestnut Tree House children’s hospice in West Sussex after the show.